Galileo’s fifth satellite (and first fully operational capability, or FOC, spacecraft) — recently salvaged from an incorrect orbit — has been combined with three predecessors to provide its very first position fix. Test receivers at the European Space Agency (ESA) ESTEC technical center in Noordwijk, the Netherlands, and at the Galileo In-Orbit Test station at Redu, Belgium, received the signals at 12:48 GMT on December 9 from a quartet of Galileo satellites and fixed their horizontal positions to better than two meters. 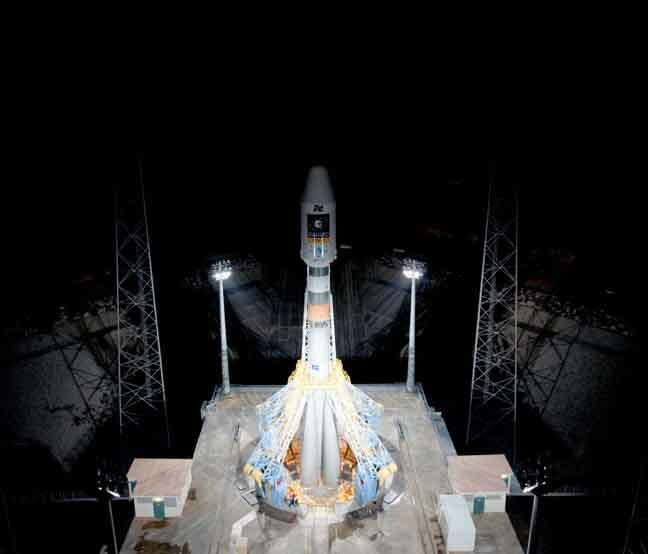 This achievement is particularly significant because the satellite, designated FOC FM-1, is the first of a new design for 22 Galileo spacecraft planned to be launched over the next few years. The following day, fixes were performed using Galileo’s Public Regulated Service, the encrypted highest-precision class of signal. 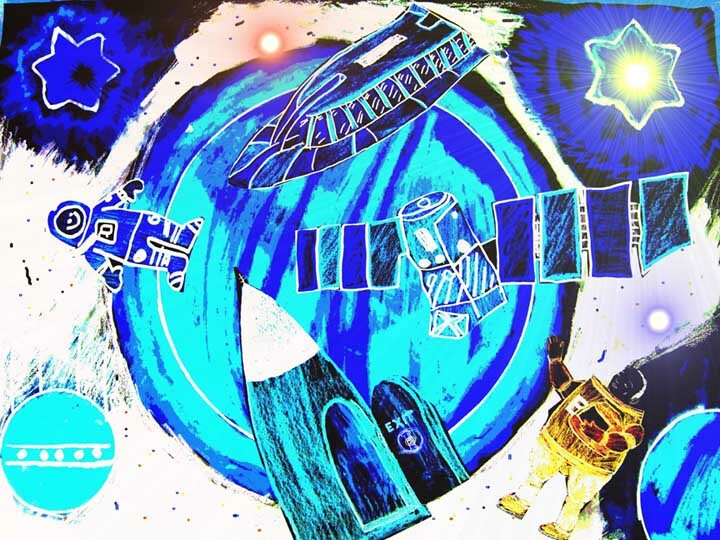 “The very good geometry of the satellites in the sky relative to the receivers helped us to achieve this result, plus the signal strength of the fifth satellite,” said Gustavo Lopez Risueno, who coordinates the receiver team at the Navigation Laboratory in ESA’s ESTEC technical center. 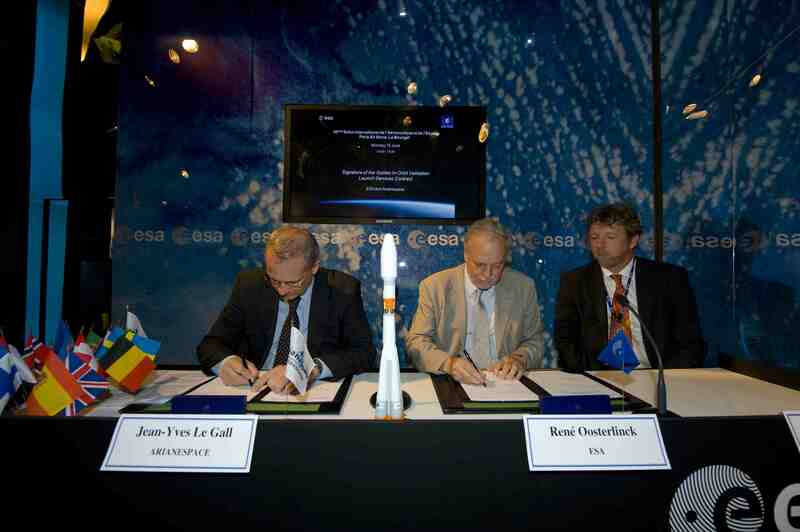 The fifth and sixth satellites were delivered into the wrong orbit by their Soyuz–Fregat rocket in August. Their elongated orbit took them out to 25,900 kilometers above Earth and back down to 13,713 kilometers, rather than the planned circular path at 23,222 kilometers. The angle of the orbit to the equator was also wrong. The satellites’ shifting altitude left them unable to lock onto Earth for part of each orbit, preventing them from being used for navigation purposes. But, last month, a series of 11 maneuvers took the fifth satellite into a more circular orbit, some 3,500 kilometers higher, allowing its navigation payload to be switched on for testing. A similar salvage operation is planned soon for its companion, FOC FM-2. According to ESA engineers, the main hurdle in using the fifth (and subsequently sixth) satellite operationally is that mass market receivers in particular might take longer to find it. Their orbits fall outside the satellite almanac’s standard broadcast found in the Galileo navigation messages. Using navigation-assistance information — similar to that provided through telecom networks for GNSS-enabled smartphones, a technique known as assisted-GNSS, or AGNSS — would be a way to shorten acquisition times, and ESTEC’s Navigation Laboratory has already demonstrated it with mass market receivers. Working in conjunction with the European Commission and Europe’s GNSS Agency, the lab performed position fixes with both Galileo and GPS satellites using only navigation-assistance information.